Reminds me of a photo negative - love that dark shading. Most prints are between $20 and $25. Head to Gawki's Etsy shop for more! Prints start at $7, with most 8X10 costing $15. Head to Penelope's Etsy shop to see the rest! 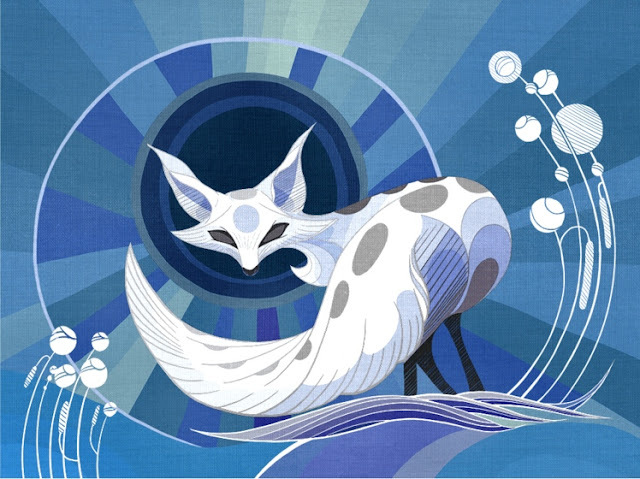 She also has a deer and fox in this style! You can get 12X18 prints for $20 over on her Storenvy shop - or you can order them on shirts, tote bags, phone cases - all the things. Go check out Ruby's shop to see the rest! Alexis had embellished versions with gold foil in the center stars, and they were awwwwwesome. Her Etsy shop is on vacation right now, so let's hope she lists some there later. 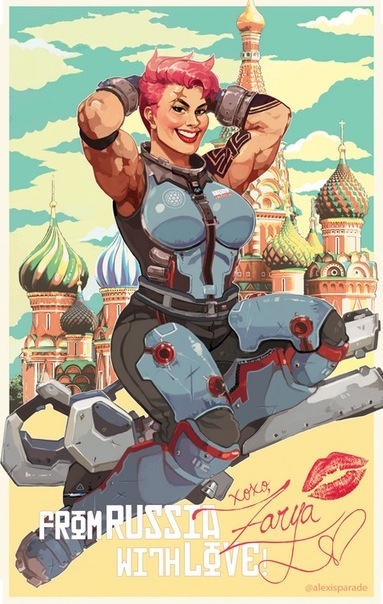 I've seen a few Zarya pin-ups before, but Alexis is the first artist to keep Zarya's muscles. YASSSSS. Plus she's in her actual outfit from the game, not dental floss! DOUBLE YES. I actually stopped and thanked Alexis for this service to humanity, you guys. Again, her Etsy shop is on vacation (so bookmark it! ), but while you're waiting for that to re-open you can follow Alexis Moore on IG and/or Facebook. 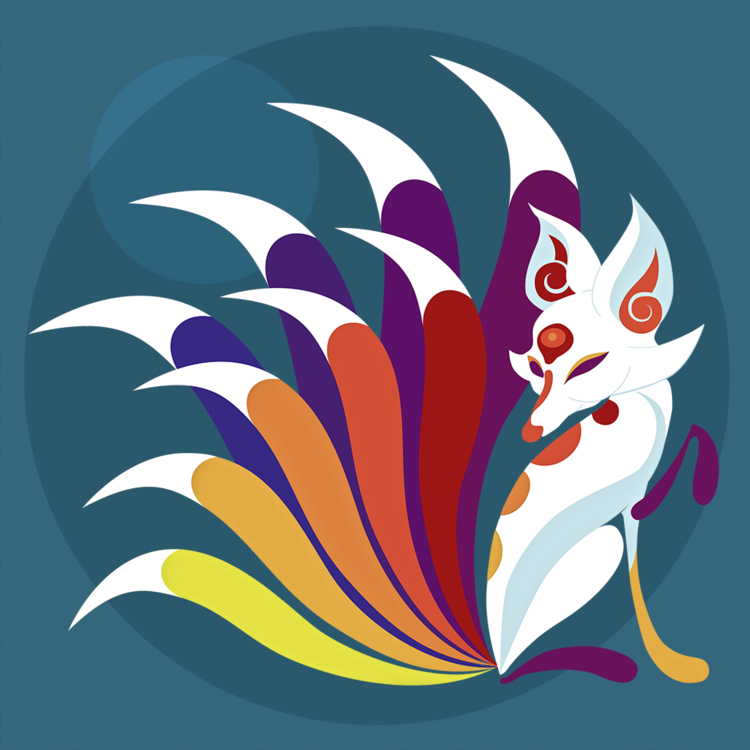 Come for the foxes, stay for the Baymaxes. Love BOTH of them oh so much!!!!!! Ugh that Zarya print is to die for and I like the Baymax in his suit! I look forward to the art posts! Love that Baymax card! I’m ellieboa_ on Instagram, so nice to get a reply from you!! I think the fox and deer just made their way onto my birthday list. So beautiful! I adore the Frozen Silhouettes! But that Baymax in his red super suit is flippin' awesome too. If I managed to bag either of those in the giveaway that would make me a very happy human. Aww, Baymax is so cute with his little balloon! <3 Great choices, as always! Baymax with <3 Balloon is too cute! Beautiful as usual! I finally bought my own place a few months ago and now have wall space to put some of the great artwork up that you've introduced me too. I would love something off your Pinterest board or the Baymax with balloon...except I wouldn't use it as a card, I would totally frame it! I Love your art roundups, and the Baymax with the balloon is ADORBS! I would love either of the Baymax prints, and the Art Board is fabulous, too. There are so many things I'd like on there. Thanks so much for the art round up, Jen. I find so many cool artists this way. I really like the "Broc" Badger etching by Chelsea Smith! I love both of those, please enter me! I love the underwater art. So soothing!! Love all of these, including the Baymax card! You always have such awesome art to share! I love both those little Baymaxes! <3 Enter me in all the drawings, please! 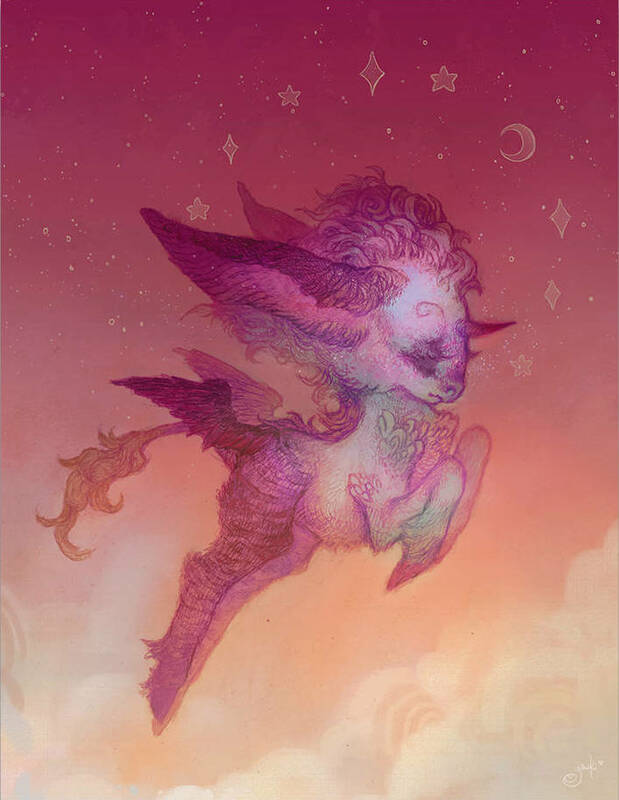 Those pieces from Rubyart are amazing, love looking (and dreaming) about all the art! both those Baymaxes (baymaxi?) are amazing. My kiddo would kill for them. 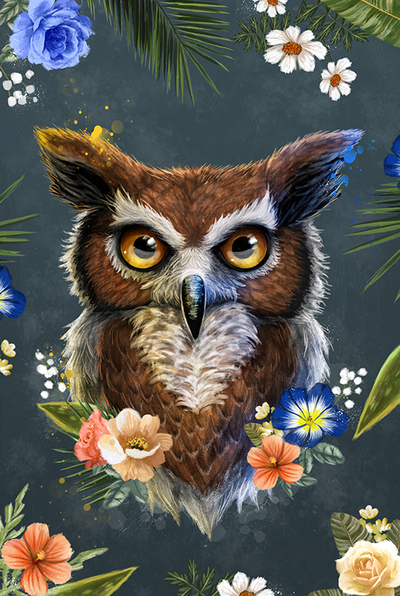 That owl print from Ruby Art is magnificent! Winning art from you is like hitting the lottery, but with more FUN! Thanks for making it easy to find cool stuff!! Love the Trip of Tomorrow print! Please enter me in the main giveaway! Hooray for art round up - fingers crossed! Two flavors of Baymax??? That's it, I'm entering the art draw this month!!! Either one is good! Maybe this month I can win?? I love all those things!! Baymax! They are both so cute! I would lie to enter the drawing and either one is good! 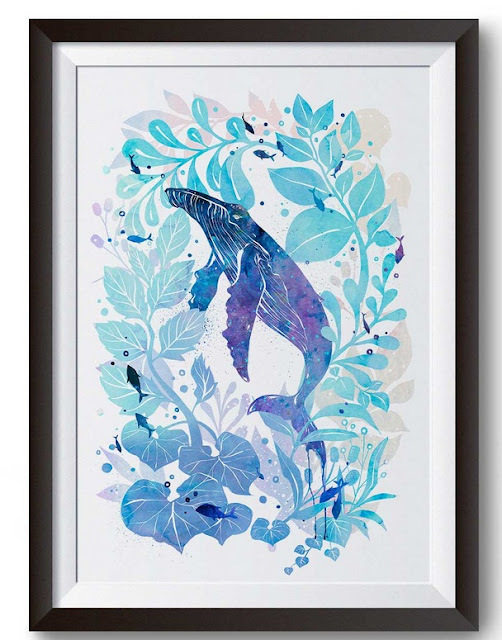 The humpback whale print...gorgeous! Baymax card is awesome! Oooh pretties! Comment comment comment. Now that word has no meaning anymore. I love the under water rainbow. 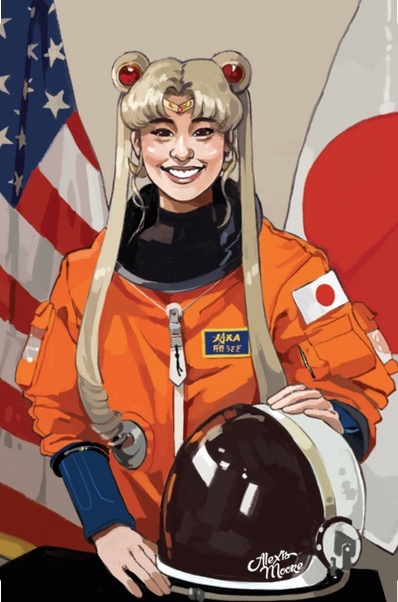 I love your art round ups so much! so many great ones! I would love the Baymax with balloon for my classroom but they are so many I love on the Pinterest board as well. I love the greeting card! Perhaps a gift for our next FoE gift exchange! Balloon Baymax and the wildcard, please! So many pretties! Love them all! Oh I love those watercolors!! Love bob of the baymaxes too!! Love the art, love the links....now I just need more wall space! Yay! More art goodness! 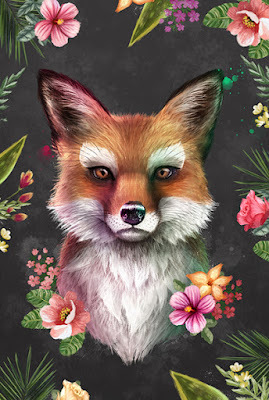 I loooooooooove those foxes! 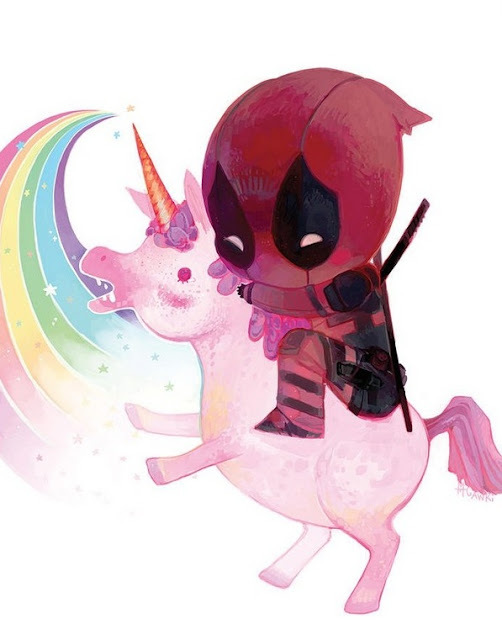 Deadpool on a Unicorn! I'd like to be entered for all three drawings please!. Enter me for all three drawings. Kthanks! I'll take either one. Pick me, Pick me! I would love the greeting card baymax! My sister's birthday is next month and we went to see that movie in theatre together. LOVE both Baymax prints! So adorable! Oh, I love these! And I think that bear and macarons is going to be my mom's Christmas gift, so thank you so much for posting it! For the drawings, I love both Baymax prints! Or shoot, you have so much amazing art on your give-away board! I have my fingers crossed!! Oooh these are so pretty!! I LOVE Baymax! I would be thrilled to win either one! Always look forward to your art posts, so much fun stuff to drool over! Oh my god that Baymax card is adorable! I would love to be entered for the main drawing and for either Baymax. You always find the best stuff!!! Ahhhhh everything here is awesome! I would love to be entered for both Baymax prints, please! Thanks for the giveaway! I'd like to be entered in all 3 drawings, please. I would really love the AT-AT- Walk signed print by James Marcia. So cute! Love the Baymaxes (Baymaxi?) and pretty much everything on your giveaway board! Please enter me for the wildcard slot. Both the Baymaxes, Baymaxi, Baymax's....? Whatever, they're both super cute!!! That Metroid art is amazing! I love the vibrant colors. 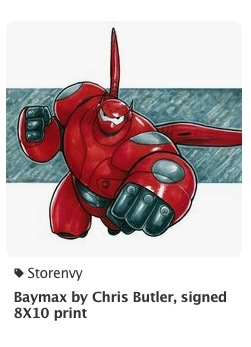 Please enter me in the wildcard drawing and the Chris Butler Baymax print drawing. Thank you! Love the Baymax in his suit. And most of your giveaway board. Always great finds. I'd love the extra draws as well. OMG those foxes! These are some really lovely prints this time. Your posts are amazing. 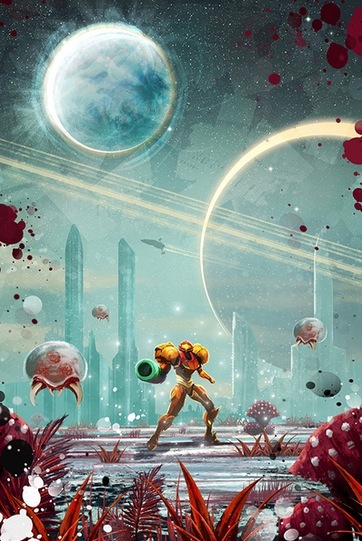 I love all of this artwork! Baymax with the balloon is the best! As always, thanks for sharing the wonderful geek art! 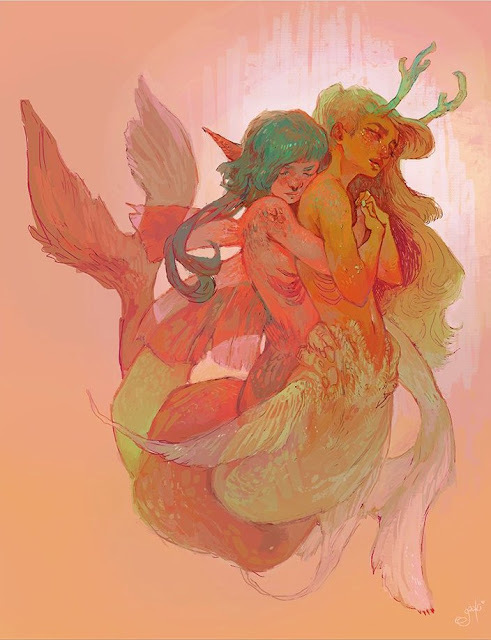 Art roundups are my favorite posts. Is that weird? So many beautiful things! 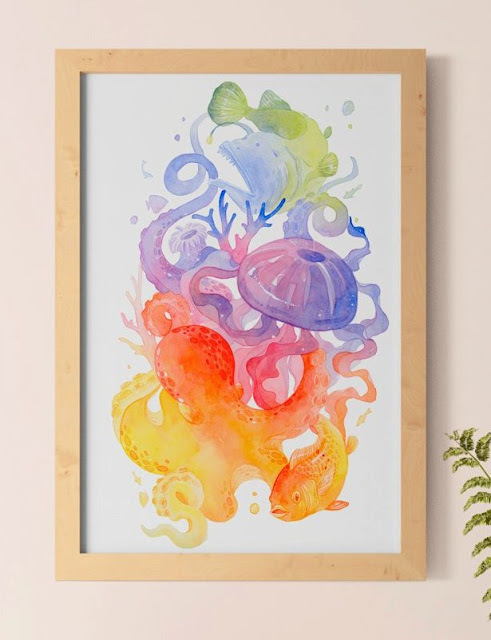 I may actually need to go buy that rainbow octopus. I love all the art, and I dragged my kid out of her room to come look at it with me. :) Please enter me in the monthly drawing, and both of the Baymax drawings, thank you! 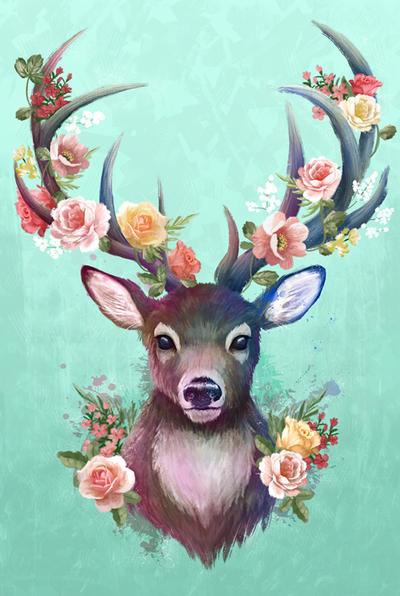 I love your art roundups! <3 Please enter me in the wildcard drawing :). Ruby Art's Fox looks so good, love these posts, I get to see so much variety. Oooh, I think I might have online shopping to peruse. I'd love a chance for either Baymax or the wildcard!!! I'd love to win the wildcard. I haven't commented in awhile...life has gotten in the way and I've missed several of your updates, so have been going back in time to catch up. 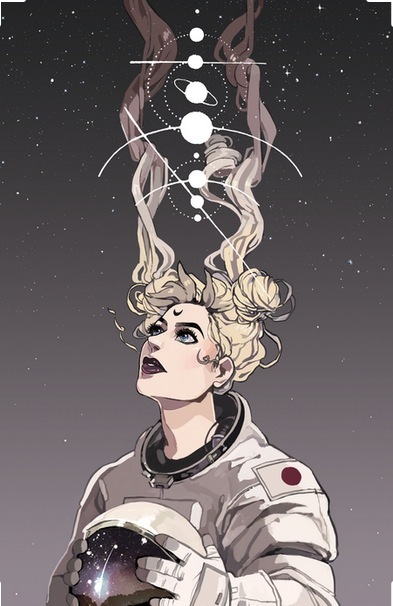 I love so much of this art!! 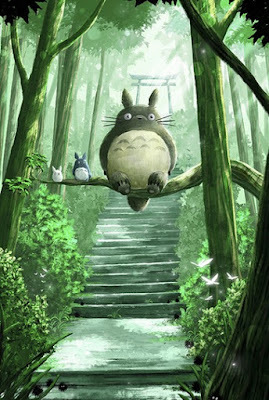 And I think I've found a great sweet 16 birthday gift for my daughter (turns 16 on Christmas)....she loves Totoro sooooooooooo much!! Thank you for that!!!! I'd love to be entered for a chance to win [either] Baymax or the wildcard! So much pretty! Love the Baymaxes too! You always have such great pics! love it all! SO many cute creatures in today's lineup! I would like to be entered in all 3 :) Love those watercolors, especially the Bear on Macaron!! I'd love to win any and all of those! Ack! Don't make me choose between the Baymaxes (Baymaxi? Hmm, maybe not that one, heh)! I lurve them both! Just wanted you to know how much I enjoy your art posts. I love going to cons in my home state, but we don't always get the same artists that you enjoy there. Seeing their talent is wonderful. I purchased "Told you so" from Kristen Pauline for myself and two others. I never would own this without you bringing her art to us through your blog! Thank you for being such a fan and sharing the bounty with us all! 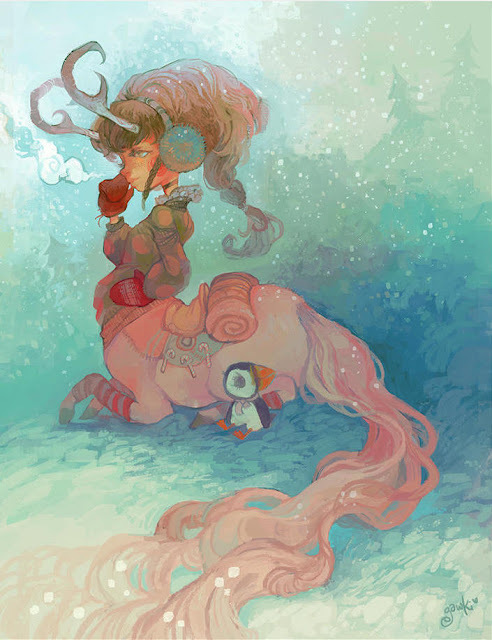 I love these art roundups. Please also enter me to win the original Baymax with the balloon! both baymax are amazing, but the armored one would look awesome in my little man's room. he loves baymax! so, please enter both? How did I miss your post yesterday. I hope I'm not too late. The Baymax with Balloon print it adorable. I love your site and Cakewrecks. Such a pretty round-up. I needed some gorgeousness in my life right now! Surprise me! Or surprise my sister even more with an octopus. Every month I try and win the Wildcard... Maybe this month? All this art is so amazing!! I always love your picks! Here’s hoping! 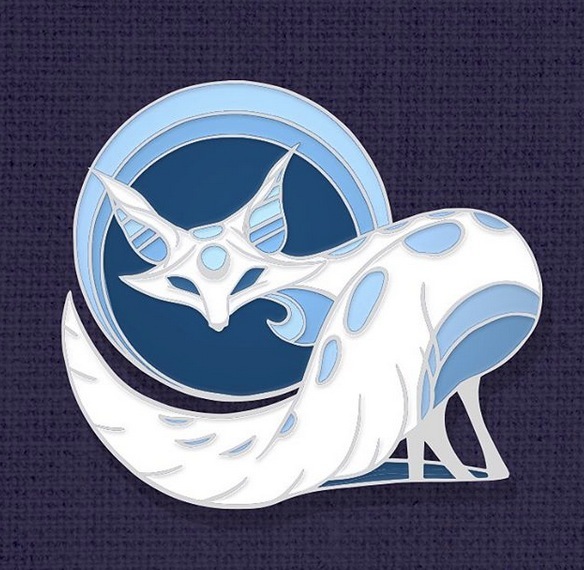 Those foxes are gorgeous - love the pin version. I tried to post earlier, but I think my adblocker was acting up, so hopefully this isn't a double post. 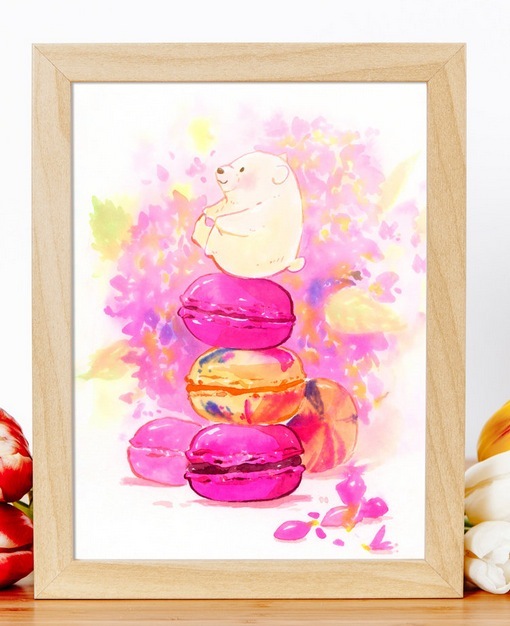 My favorite piece of art in this post is probably the bears on macarons...so cute! 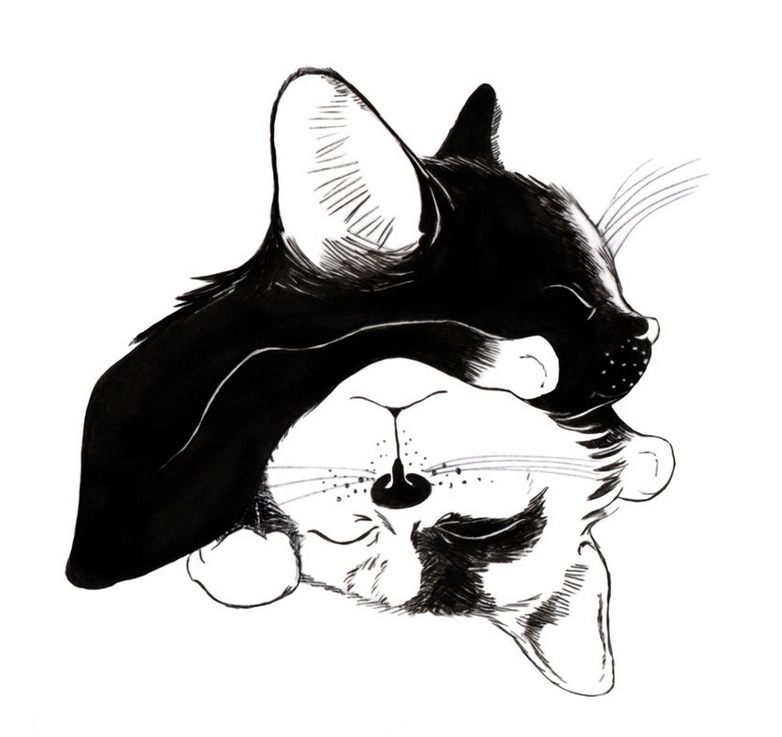 I looked at the artist's Etsy, and she had so much other art I loved, too! My favorite was a picture of a Niffler with the caption "Treat yourself". :-) Please enter me in the drawing for both of the Baymax pieces too, because Baymax is the BEST. I love the Bay,ax with. Alloon. My daughter loves anything Baymax, and this would make a great addition to her display. Please enter me for the giveaway board! Thank you :-). I like Baymax, but he'd have no where to go around here, unfortunately. Balloon baymax or giveaway board, please! Sorry if this is a duplicate post - the computer ate my last one. Hi I'd love to be in the running for both Baymax prints and wild card. These are my favorite posts- I love the bear on macarons! Glad I got my birthday money early so I could snag that Chibi Deadpool within 10 minutes of reading this post. Thanks Jen for another great collection of art!!! I *adore* the Ahsoka and Loki prints on the board! We are moving from a 2 bed apartment to a 4 bedroom house! So many empty walls! Enter me in all the drawings please. Mickey, Donald, Goofy, Stitch and YES, to the Baymax with the balloon! ooo either baymax would be awesome! love the pins and anything that looks like pretty water colours! Love the owl and fox prints!! Pins- small and shiny and addictive! I love both Baymax too. Thanks, again, for the round up. I would love to be a wild card winner! Ruby Art's fox is stunning! And the little bear on the macaroons is just too cute, holding his little feet and all. (insert heart-eyes emoji here) Please enter me in just the generic drawing. Thanks for another month of fun finds! 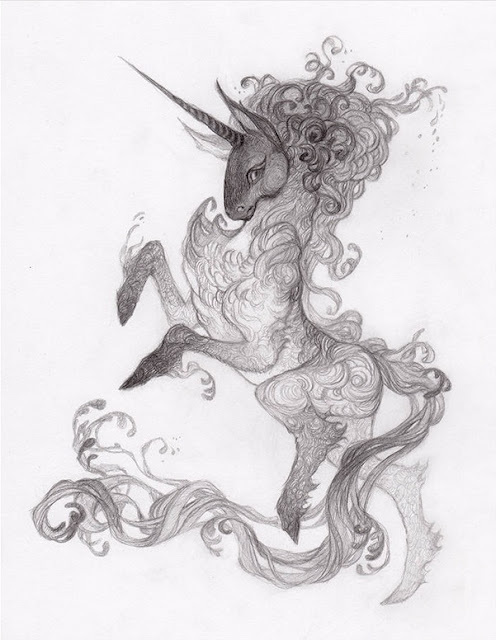 As always, thanks for the lovely roundup, Jen!! And ZOMG the Baymax balloon!! LOVE IT. Yay art! Please enter me into the art board give away. I love both Baymaxes, and the foxes, and the humpback whale, and the mermaids, and who can resist Deadpool? Those foxes are AMAZING. So pretty. The Owl is gorgeous! But then again, ALL the prints are gorgeous. If by some odd chance I'm picked, I'd LOVE to have the Strawberry Gryphon!! Too cute! Oh don't mind me, I'm just over here drooling! I never comment in time but saw Sharyn's reminder and am SO glad I did! Beautiful colors! Enter me in for the Pinterest board, please. Thanks for all you do! I'm in love with those watercolours! I'd love to be entered into all 3 draws please!! Thanks Jen!! All the ocean ones are giving me a case of the gimme gimmes! If I won, I’d probably pick the “Mario Princesses” since my girls are obsessed with using them for Mario Kart! yay more art! I’d love to be entered for the Pinterest board giveaway! I love seeing the art you find! I think I've seen the Ruby Art Totoro print before and this is making me regret not buying it. But now I have a new house that has wall space! Bring on the art! And I love that Baymax with balloon card. Love the heart Batman! Thanks for all your prayers, they always make me smile. Ahhhhh!! The little roly poly bear on the macarons!! Too cute!! Just the wildcard draw, please and thank you! Squee! 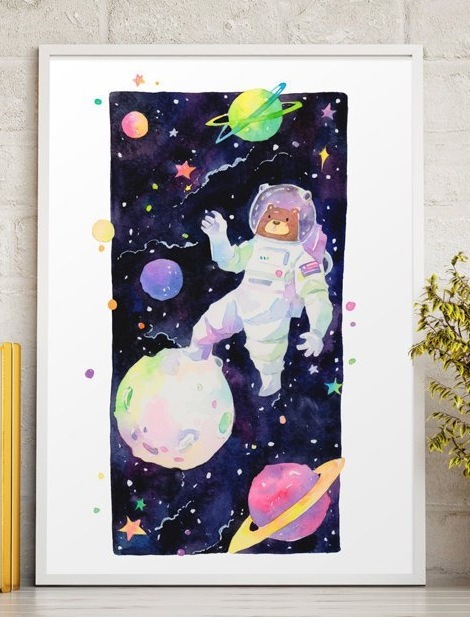 Love the foxes and the Baymax prints, please enter me!!! I'd love to be in all your drawings this time. You always find such lovely art! I can't imagine how hard it is not to buy it all. That polar bear on macarons! So cute! It sounds crazy but I love the Baymax with the balloon most. Please enter me in both drawings!! Eep, that little puffin in the one print! And I might have squeed a LOT over all of the stuff in Penelope's shop. Once again, you find all manner of things to brighten the month. And speaking of raising endorphin levels, I adore that Baymax with a balloon. I'd also be interested in the Baymax with Balloon. Oh yes please to ALL the things!! Those Baymax prints are adorable. That understand rainbow makes my heart happy. Oh, so much lovely art! I might need that totoro one. The polar bear atop the macaroons is adorbzz! 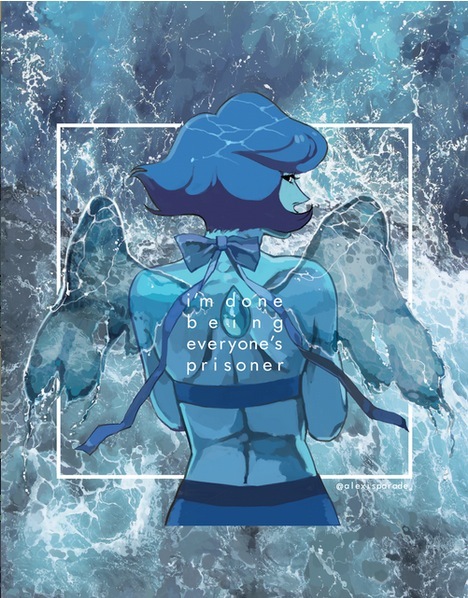 Lapis! 😭😭😭 The fox are really cool too, and I love both Baymax pictures! I think I'm more into the Baymax with a balloon, if I won it i would probably give it to my mom! I would love Baymax with a balloon!! I identify so strongly with Baymax, whenever I am having a bad pain day I tell people "I am not fast!" Your art posts are always so inspiring. I think fan art is so amazingly creative! Thanks for the chance at the wildcard and the two Baymax prints :) . Makes me want to watch Big Hero 6 again! 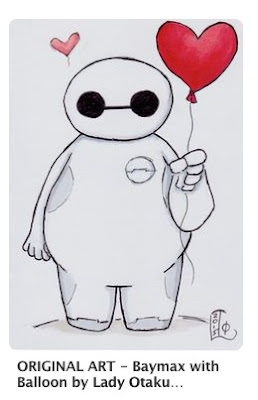 Love your art posts... Love Baymax with the balloon... OMG so much good stuff on your Pinterest!!! Ahhh, so cute! I like the armored Baymax more, but you honestly can't go wrong with either! I love both the Baymaxes (Baymaxi?) and that Lapis is stunning. I would love to pick something from your Pinterest board. Thank you for sharing art. So lovely! And I love the Baymax one too! The undersea rainbows print is gorgeous! And Deadpool I'm actually tempted to get for my husband. I would love to be entered for something off the Pinterest board. My favorite has been claimed, but still plenty more I'd love to have! Ahhhhh those animal prints are gorgeous! The owl! The fox!! Love it all! Thank you!!! I want all the baymaxes!! And everything else! All the pretty colors! And I love the balloon Baymax! I LOVE that Deadpool piece!! !